As a new type of energy storage device, it is used to drive the AGV and the AGV, such as controlling, communication, safety equipment, and also able to realize fast charging, discharging and energy recovery functions. Provide safe and reliable on-board power supply for AGV manufacturers as systematic super capacitor solution, to achieve fast charging in seconds and satisfy AGV’s requirement for long life, high power, high reliability in its power supply system. 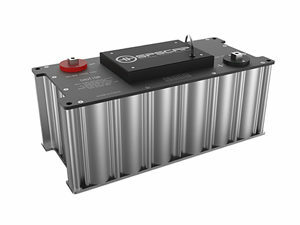 2 To replace battery as energy storage device, which could shorten the charging time of equipment and improve the service life of the AGV. Sealing standard is IP65, and compact, strong, waterproof in design. Anti-flaming design to ensure the safety. Rapid charging and discharging, can be charged to full capacity in seconds. High insulation, to ensure safety in usage. Flexible combination with auxiliary devices such as inverter, circuit board,and leakage prevention device, to optimize equipment configuration.